After watching so many perfect, white-washed photos of Instagram celebrities organizing their makeup in a catalog-worthy order, it’s somewhat normal to feel a bit… inadequate when you watch what a disorganized mess is your bathroom vanity. However, normal human beings have no time to store all their stuff in such an immaculate order, and after all, these pictures are nothing but professionally staged photos. So, instead of feeling guilty because you can’t wake up one hour earlier every morning just to splash with gold midi-rings and rose petals your makeup, let’s have a look at a few ways to organize it conveniently and fashionably. A beauty product should be an endless source of joy and pleasure. However, we often end up buying that overpriced eyeliner we found at an incredibly discounted price only to leave it sitting there forever once we used it one time. So, as ominous this may sound, you should get rid of all the products that you know that you’re not going to use. As your collection shrinks, you will find that the amount of clutter will be significantly reduced. Take out everything you have, and lay all of your makeup out. As you start sorting it, you will find a lot of products you probably forgot about their existence, or that exist in multiple (useless) copies. Only keep those that you’re going to use. There’s no need for an eyeliner that was so fabulous when you went through your “Goth phase” during your early 20s. Find a way that is simple enough to categorize every product, and assign a drawer or shelf to each category. For example, you may assign each drawer to blushes, lipsticks or bronzers. Then put them in a meticulous order by organizing them by brand, starting from the ones you use the most. Then you can have other sub-categories, such as exfoliating wipes, makeup wipes, and cleaning wipes. Transparent acrylic storage boxes can also help you reach the stuff you need the most almost instantly since you can immediately see what you’re looking for. Lighting everything up can help you become more efficient during your makeup operations. A lighted makeup mirror is incredibly useful, and you will save a lot of time putting your makeup under good lighting. A good mirror that magnifies and can be adjusted to the optimal angle will help you choose only the right products, so you won’t have to pick up every palette in search of the perfect color. After you keep using the same products every morning, day after day, you will know already what looks good on you and which product works better. 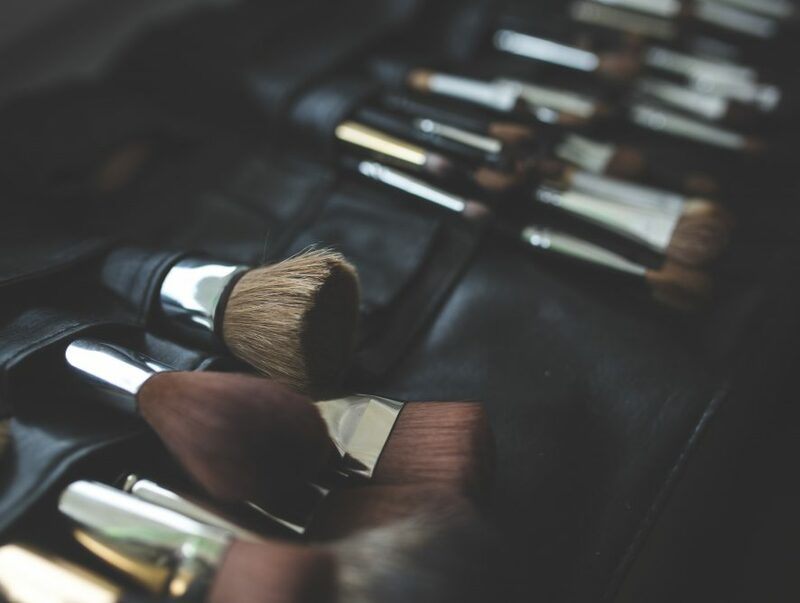 Having those products ready will help you avoid struggling with “decision fatigue” every time you really don’t have the time or energies to spend more than 5 minutes putting your makeup on. Stash the “essentials” in separate storage in a way that is also pleasant for the eyes. This way you can both see exactly what you’re working with, and take a few pics for Instagram if you want to! Your makeup storage doesn’t need to look horrible. Finding your lipstick a proper home is easier than you think if you follow our simple guidelines. Enjoy a clutter-free makeup drawer by streamlining your beauty routine and getting rid of all the products you don’t need!